In 2006, Mike Curb purchased the Memphis ranch house owned by Elvis Presley in 1956 and gave it to the Mike Curb Institute for Music at Rhodes College with the request that students do something great with it. And they did. 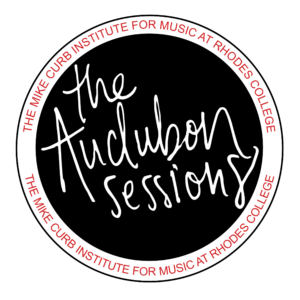 The Audubon Sessions is a house concert series in which artists are invited to the historic space to perform and reflect on their careers and the importance of Memphis music. The project aligns Rhodes students with professionals during all phases of production and gives young creative people a voice and the ability to think big and take risks. After 4 years as a web series, the show has now evolved into a program that launches nationally to public arts television stations through a collaboration with NECAT. Stay tuned to The Audubon Sessions for performances featuring nationally acclaimed and Grammy award winning artists, as well as the next generation of Memphis greats.